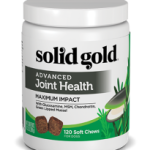 FOR IMMEDIATE RELEASE – May 8, 2012 – Solid Gold Health Products for Pets, Inc., El Cajon, California, announced a voluntary recall of one batch of WolfCub Large Breed Puppy Food and one batch of Solid Gold WolfKing Large Breed Adult Dog Food after being notified by Diamond Pet Foods regarding the presence of Salmonella in Diamond’s Gaston, South Carolina facility. 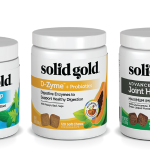 Solid Gold is voluntarily recalling the products below, distributed in the United States and Canada from between January and May 2012. This voluntary recall is being done out of an abundance of caution as these products were produced at the facility that has been linked to recent recalls of Diamond brand pet foods due to potential Salmonella contamination.